This is the 2013 OUTDATED version of the top things to do in Seoul (maintained for sentimental value). Follow the link to the new TOP 50 Things to do in Seoul. The beautiful Old Seoul Station building from the early 1900s. The Old Seoul Station started operation more than 100 years ago. It has recently been reopened to the public after years of remodeling. It currently sits right next to the modern Seoul Station train hub, the main train station to go anywhere out of Seoul, and is quite interesting to get a good view of the two buildings simultaneously from a distance. As they were built almost a hundred years apart, you can see the development of Korean architecture from 1900 (European based) to today (almost futuristic). Unfortunately, for the time being, there is nothing really inside the old building besides a few modern art exhibitions (which isn’t my type of art) so the pretty building (and a lot of imagination) will have to do. As you can see, you can’t get very close without an appointment. 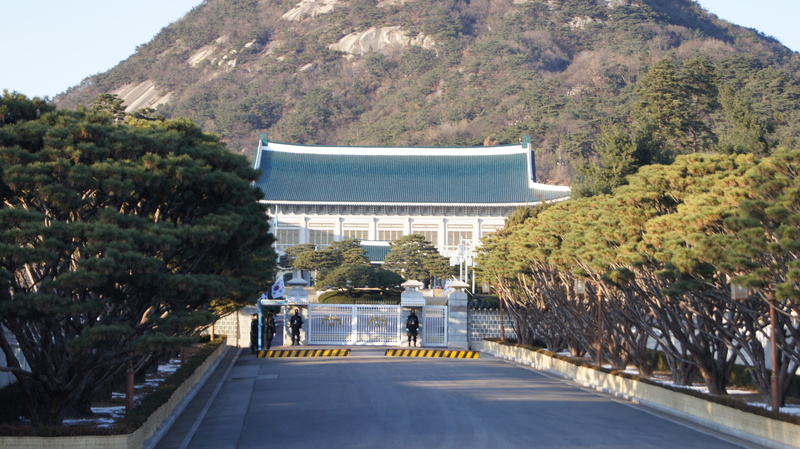 The Blue House is the official residence of the president of Korea. It doesn’t take a genius to figure that out what it is as the name is so similar to the American White House (but I won’t go as far as to say it was copied, because I am not sure). Tours are offered through their official website, but if you didn’t plan ahead of time, this might not be logistically feasible. From the outside, you can’t really get close enough to take a decent picture (despite the “photo location” plaques on the ground that state otherwise). It is located directly behind the Gyeongbok Palace , which used to be the official residence of the Joseon Dynasty (1390s-1911) kings. 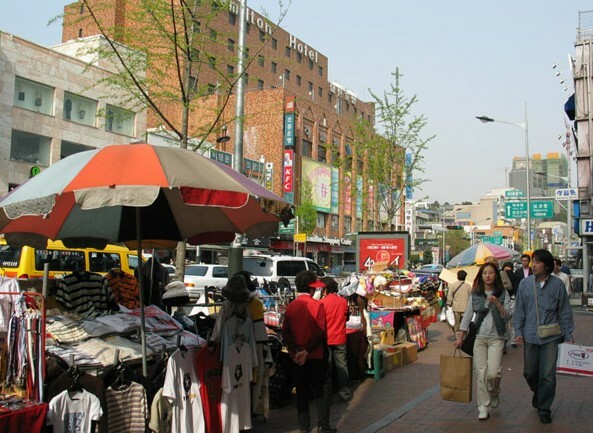 The foreign district of Itaewon-dong. Itaewon is a district of Seoul that has some of the best foreign food in Korea. It is a hot spot for a lot of people who are living here long-term, and require a fix that is not Korean food every once in a while. 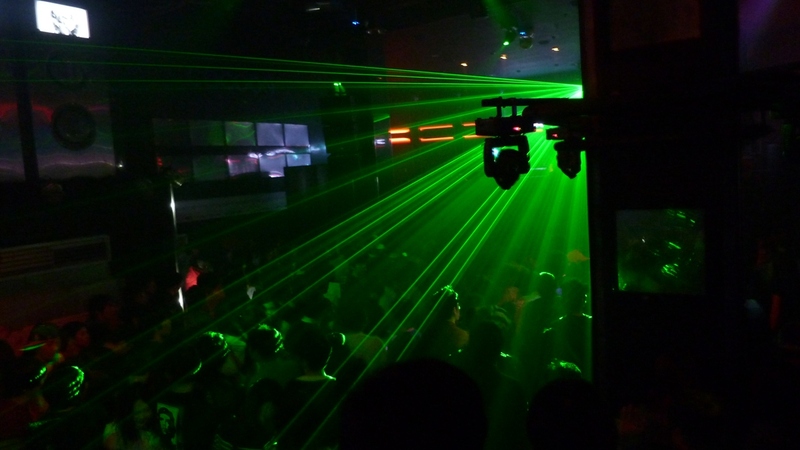 It is also a major hub for night life, especially for foreigners. However, just like a Chinese person would not be too interested in visiting Chinatown in LA, I suspect most visitors came to Korea to see….Korean things… not foreign things. For that reason, this ranks so low on my list of things to do. If you do find your way here, it is a good place to pick up some souvenirs, and in many ways, has the same stuff you can find in Insa-dong (the main souvenir shopping district). This item has already been listed on a previous list, and the description then was as good as any, so here it goes again: There is something very exciting about being in a place where the Olympics were held. I remember going to visit the Bird’s Nest in Beijing in 2010 and still being mesmerized by knowing that Usain Bolt had shattered the 100m dash record in that very spot. Even though I was only two years old when the 1988 Seoul Olympics took place, it is amazing to be in the very stadium where athletes fought for nothing but national and personal pride and became either legends, or footnotes in the record books. The Olympic Park and Jamsil Sports Complex were built specifically for the Olympics and the Asian Games of 1986. While neither has seen major sporting action in a while, they are both well kept for tourists and local teams alike that play in those stadiums. Olympic Park is on Olympic Park Station (Purple Line 5) or Mongchontoseong Station (Pink Line 8, one stop from Lotte World). The Jamsil Sports Complex is on Sports Complex Station (Green Line 2, two stops from Lotte World in the opposite direction). While it has a clear copy of the Disneyland Castle, the Lotte World outdoor section has some of the better rides, and is pretty in its own right. The center of Lotte World is hollow, with either a skating rink, or a concert stadium in the bottom. Like the Olympic structures, this item has also already been mentioned on this blog before. Here it goes again: I didn’t realize this when I was younger, but in California, we are really spoiled with fantastic amusement parks. Because of this, I would not have naturally thought of promoting an amusement park as something to do when you visit another country. However, having met people from other countries or parts the the US that aren’t as lucky, I thought, why not. Even if you don’t go for a full day, Lotte World routinely offers ‘foreigner only’ discounts and is worth the price. This theme park has managed to wisely utilize the limited space it has with quite a few rides. Half of the park is indoors, so it is a good thing to do if you are unfortunate enough to be in Seoul during a downpour. Lotte World is located on Jamsil Station (Green Line 2 or Pink Line 8). These come as a joint entry because they are so close to each other, and quite honestly, I wouldn’t recommend them otherwise. They also happen to be right across from the Deokso Palace (coming up in the next list) so it is easy to make a quick stop at these sites. The City Hall building has recently been rebuilt. It was closed for as long as I have been here (since 2009) and reopened in August 2012. It is a very pretty building and there are often events or rallies right in front in Seoul Plaza (the de-facto town square). The design looks much like the Old Seoul Station building, showing the deep influence of Western architecture in the last century. The stone drums were built in 1902 to honor King Gojong of Joseon, the last effective king of Korea. The use of stone is seen as a sign of the art of the time, and one of the few original relics of the Joseon dynasty. Looking at them, I couldn’t quite figure out how they can qualify as drums. What would you hit stone drums with? Theories would be much appreciated! The Hwangudan gate is the doorway that leads to the altar of the same name and the stone drums. It was originally located within Deokso palace, the last official residence of the Joseon Dynasty Kings, and held a huge series of structures for the ‘rite of heaven’ performance. One odd fact is that while it is now located to the right side of City Hall (if you are facing it), until 2007, it was mistakenly used as the door to a hotel because no one knew what it really was! You can easily see it from City Hall, or if you have really good eyes, across from the Deokso Palace entrance. The Hwangudan Altar is the last remaining structure of this complex built in 1897. The king himself used to come to the altar and help perform the rite of heaven, a performance and tradition leading back to the Goryeo Dynasty, over a thousand years ago. The ritual ensures that Korea will have a good harvest and overall good luck in the following year. It should be noted that while it is under construction, it is scheduled to be reopened in May, 2013. This was a very surprising find as I have never seen it mentioned on any book or any website. Consequently, I was the only person here the entire time, so it is a nice hidden gem in such a busy city. A more realistic view of what the banpo bridge fountain. The banpo bridge fountain is another entry I have already talked about in a previous post. It is the longest musical fountain in the world, and it lights up at night. It is located on the banpo bridge, which stretches across the Han River (the river that bisects Seoul). The river park (Hangang park) is actually not a single park, but a series of parks along the Han, and are a nice calm place contrasting the rustle bustle of Seoul. From some parts of the Hangang park, you are be able to see the 63 building and the fountain at the same time. At one point, the 63 building was the tallest one in Korea. It is a beautiful gold color and towers above all nearby buildings overlooking the Han River. 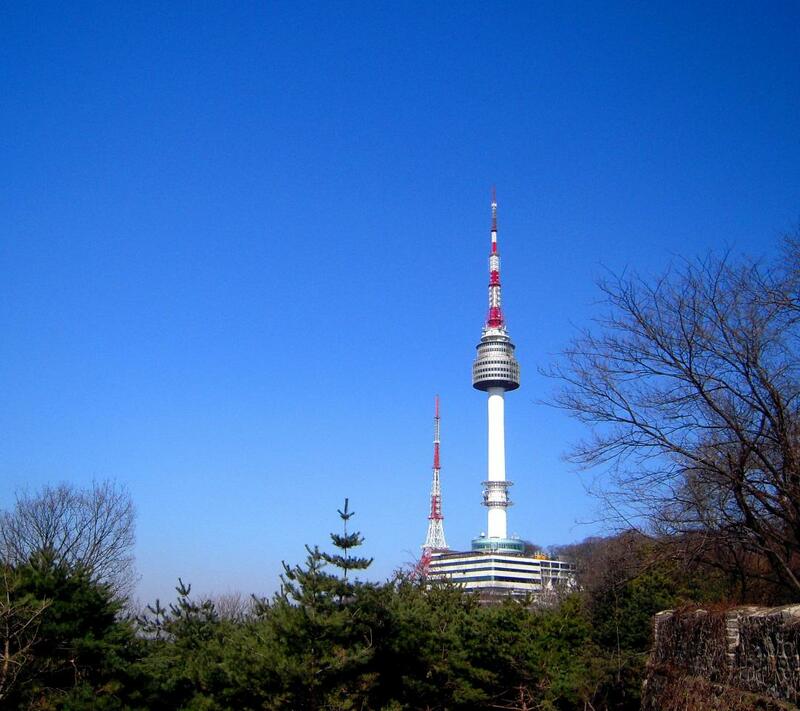 While it does have an observation deck, I wouldn’t recommend it as it is expensive, and a better view can be had from the cheaper N. Seoul Tower nearby. What is important is what it signifies. The building was built in the mid 1980s, a very tenuous time in Korea. At the time, Korea was being ruled by the dictator Chun Doo Hwan. Despite social suppression, Korea was also undergoing a massive boom in productivity and technological advancements known as the “Miracle on the Han River.” In many ways, 63 building is seen as a symbol of this prosperity, despite tough times. Deep, I know! Insadong is where you go and get your friends some trinkets and t-shirts with ‘Korea stuff’ on it. Now, some books will try to sway you that it is the “cultural center of Korea” which it’s not! About ten years ago, Insadong was started as a project to have culturally unique Korean things in one spot, for the benefit of both Koreans and foreigners. By traditional, I’m talking Korean paintings, calligraphy, and the like. That day is dead, long dead. As years went by and Insadong became more popular, rent prices went up, and those nice traditional stores are all but gone, or a facade of the real money maker, souvenirs. I am not trying to dissuade anyone from going here, but want to make sure you know what to expect. With that said, there are tons of things here you can take back to your loved ones. You can find anything from traditional coin pouches, hanboks (traditional Korean costume), Buddhist ornaments, or hand made (in front of you) notebooks made of ‘hanji,’ traditional Korean paper. 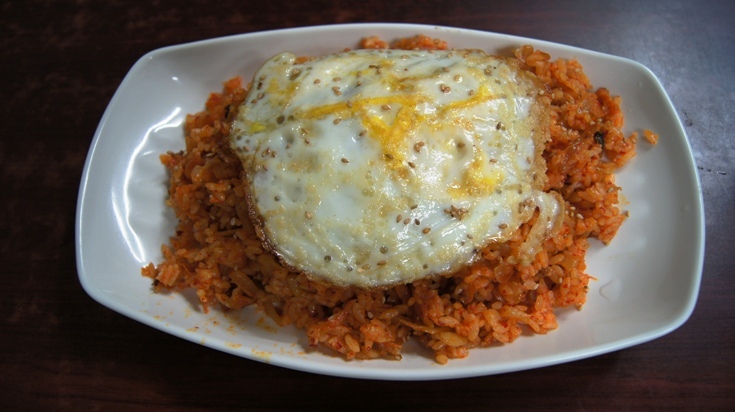 It is also a good spot to walk around and try famous korean street foods. It is a very enjoyable area if you have never been here before so give it a try. Yet another item I have already covered before, here it is again, taking the #22 spot: Coex is the largest underground mall in Asia and contains a pretty cool aquarium that is much bigger than it looks from the outside. While I have since seen better aquariums in Japan, this one is nonetheless especially cool because of how close you can get to penguins. Less than an inch of glass separates you from them. Other notable animals include the giant pacific octopus, japanese spider crabs, a beaver (I don’t know why there is a beaver in an aquarium), and manatees. Besides the aquarium, you can also partake in some fine dining and shopping. Just outside the mall is also the large Bongeunsa Temple, possibly the largest one in Seoul. Bukchon is a traditional Korean village in the heart of Seoul, complete with ‘hanok’ houses. Hanok is the term used to describe traditional Korean houses, still found today in most Buddhist temples within Korea. This village was for a long time, one of my favorite parts in Seoul because the houses are so beautiful and the food is usually pretty good. While it can be very crowded at times, it is nevertheless very worthwhile as it is a perfect spot to just walk around in the afternoon. It is located between the Gyeongbok and Changdeok Palaces, making it easily accessible, and a nice detour if you visit those palaces. 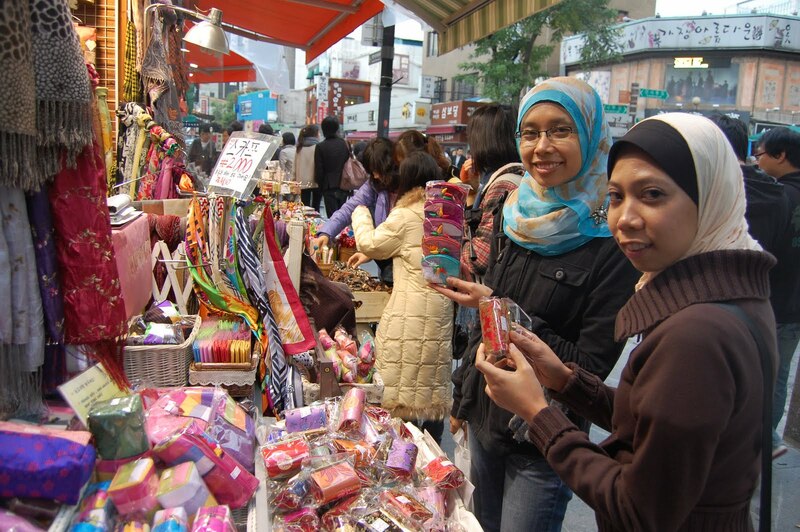 Namdaemun is another outdoor marketplace, much like the Dongdaemun Market (#14). There are two things, however, that set Namdaemun apart from other areas. First, while there are side streets, it is a much more easily navigable place, with one main road that runs straight from beginning to end. Many markets in Korea can be windy, and its easy to get lost. The second and most important reason is the food. Namdaemun has a huge variety of both Korean snacks/street foods, as well as main dishes. Most are very easy to find on the main street, so there is no real need to “know where to go.” Although the prices are a bit more inflated than in other places, Korea overall doesn’t have a concept of ‘supply and demand’ when it comes to ‘touristy areas’ so the price increase is mostly because of higher rent prices, and not an attempt to rip foreigners off. Go to Namdaemun with an empty stomach, and don’t be afraid to try the pig’s feet! If my bias for world heritage sites wasn’t already obvious, here is some gas for the fire. To truly appreciate the Jongmyo Shrine, you probably should understand a little about Korean tradition and history. Under the Joseon Dynasty, which lasted from 1392-1897 (really 1911, but I won’t get into that), Korea followed Buddhism as a religion, but Confucianism as an ideology. In Confucian beliefs, when someone dies, their body and spirit separate. So, while the bodies of Korean Kings and Queens, also a WHS, are scattered all over Korea, all of their spirits have found their way into the Jongmyo Shrine. If you just wander about in the Jongmyo Shrine without guidance, it is easy to view it as, albeit beautiful, just another Korean Palace. Because of this, most of the entries into the Shrine are with a guide only (English guides every two hours), which is highly recommended [exception: Saturdays are “free entry”]. In the shrine are tablets of every single king and queen of the Joseon Dynasty with the exception of two who are considered “terrible leaders.” The tablets describe all notable accomplishments of those kings and queens. In addition, on the first Sunday of May (less than a month from now), there is a ceremony known as Jongmyo Jaerye. It is the ritual to honor the kings and queens of years past. It has been done in Korea for the past 621 years, and is considered, according to UNESCO, the oldest and most complete performance of its kind. In addition to Jongmyo being given WHS status, the Jongmyo Jaeyre was proclaimed an Oral and Intangible Heritage of Humanity in 2001. Personally, I have been to Jongmyo twice, but have never seen the Jaerye performance. It will be my first time in a couple of weeks, and I’ll be sure to blog about it. What do foreigners who have never been here know about Korea? Probably, more than anything, is the existence of a wonderful, peaceful South, and a belligerent and oppressive North. Actually, those points of views are a matter of perspective (except if you ask the UN), and for the most part, I’ll refrain from making political statements. Nevertheless, the Korean War comes to mind. This memorial is separated into two parts, an indoor and an outdoor museum. The outdoor is best seen in the daylight as there are many airplanes, tanks, artillery, and even a ship from the era of the Korean War. The sheer number of relics is extremely impressive. However, what some of you (who haven’t been following my blog) might not know, is that Korean history, didn’t start in 1950’s. This museum holds relics and demonstrations going back since the beginning of humanity appearing in the Korean peninsula. There are stone weapons that were used in the Neolithic era on display, and an eye popping amount of ‘evidence’ proving why “Japan is so evil.” Suffice it to say, the North is not the South’s first time dealing with belligerence. In fact, it is not even the first time Korea has been split into multiple countries. This museum will tell you all about who Korea has fought, when, and why! What more can you ask for? First, while it is not inherently me, I can’t deny that people like shopping. Every time I have had friends visit me in Korea, they want to go to the places they heard about that have insane amounts of shopping. I must also admit that the styles are more to my liking than anything I ever found back home, so if even I can enjoy it, I’m sure you will too. The second reason is what it symbolizes. 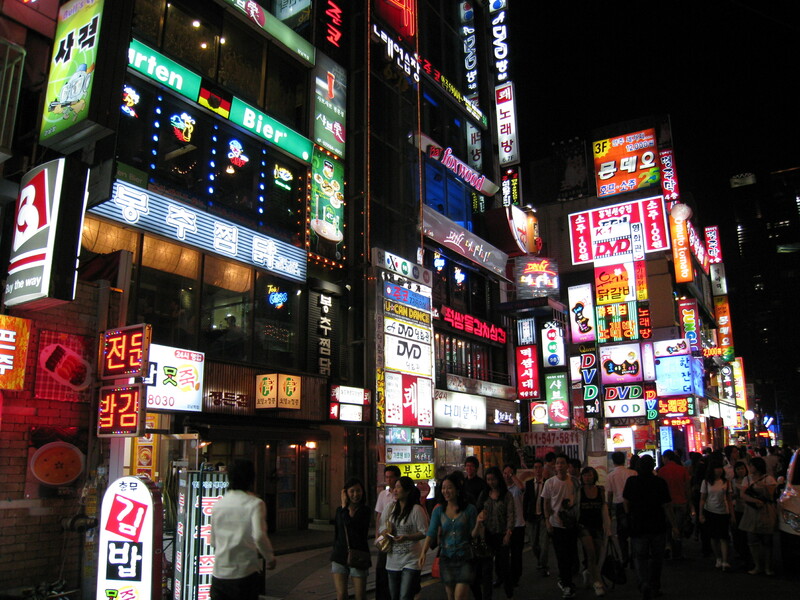 These places, are sources of mass consumerism, and whether that is something you agree with or not, it is definitely a symbol of a modernized Korea. While it is difficult to believe now, as late as the 1980s, the US was beginning to doubt it backed the correct Korea. Poverty was up, democracy was still not implemented (military dictatorship), and in many ways, the South looked a lot more poor than the North! In just 30 years following the “Miracle on the Han” South Korea has become one of the top 15 economic powerhouses of the world. While it might be the 63 building (#24) that symbolized that growth, it is in reality Gangnam, Apgujeong, and Myeongdong that continuously display that economic strength. Probably one of the most iconic pictures you can take in Korea is on Sejong-no / Sejong Street. The street leads from City Hall to the Gwanghwamun Gate of Gyeongbokgung Palace. On the street, are monuments to the two greatest heroes of Korean history: King Sejong the Great, and Admiral Yi Sun Shin. From one point, you can see the two monuments, the gate of the palace, and Bukhansan Mountain in the background (pictured). So…..who are these people on this street so special? King Sejong the Great is one of only two kings to have earned the title of “great king.” He expanded Korean military and scientific knowledge. To his biggest credit, however, is the invention of Hangeul, the Korean writing system. 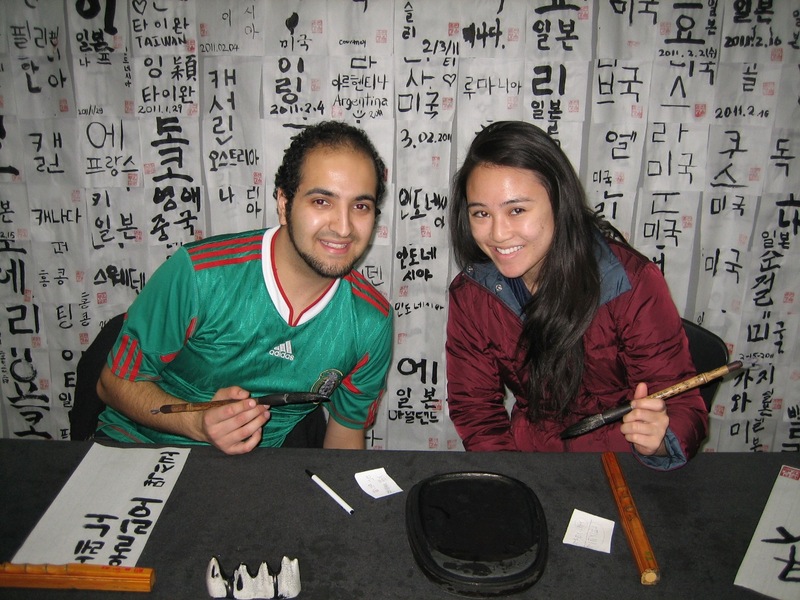 Before Sejong, Koreans used Chinese characters to write the sounds of its language. Now, we have this man to thank for the wonderfully simplistic symbols you have seen in every entry (ㅂㅈㄷㄱㅅㅁㄴㅇㄹ and so on), making at least reading Korean, very easy. Korean script continues to be the only wide spread language script in the world that can be credited so a single person. How can someone top Sejong right? Have you ever heard of the Mongol Ghengis Khan or Sun Tzu, author of The Art of War? Some people consider Yi Sun Shin to be a greater military commander than either of them. He skillfully helped design and used the famed “turtle ships” to repel Japanese forces. His most incredible accomplishment came in the Battle of Myeongnyang where he defeated 333 Japanese warships with his 13 turtle ships, saving Seoul from a Japanese invasion. Walk along this photogenic street don’t forget to pass by the underground museums (#13) and of course, Gyeongbok Palace (#….keep reading). For those of you who never pick up a newspaper, or are completely oblivious of international news, the DMZ is the dividing line between North Korea and South Korea. It is a zone 4 km wide across the entire peninsula, assigned at the end of the Korean War 1950-1953 to mark the border of the two countries. The zone is the most heavily guarded border in the world, separating two countries that are culturally, historically, and ethnically the same, but philosophically worlds apart. Ok, this is not in Seoul, I cheated…so what! Actually, there is a very good excuse. There is no way you can just drive up to the DMZ yourself. You must arrive by tour bus, which usually leaves from Seoul. This is no ordinary tour though as it literally goes within eyesight of North Korean military officers. The tour includes a visit to the 3rd tunnel, Dorasan station, and the highlight, the Joint Security Area, or JSA for short. The third tunnel was the third in a series of four tunnels discovered where the North Koreans were digging into the south, under the DMZ. It has been confirmed by defectors that this is where they planned to stage their ground invasion when the time comes. Dorasan station is a very optimistic train station that links South Korea with Pyeongyang, the capital of North Korea. It has been built and retrofitted with immigration facilities. It is their hope that some day, relations will be normalized and people will be able to freely visit each other from either Korea. Furthermore, a nice map in the station shows that if this train station becomes operational, it would link South Korea to the train network across the entire Eurasian landmass. The JSA is really the reason you should visit the DMZ. After a very intense briefing by a US military officer, you will be led to the literal border of the North and South. It is the one point on the DMZ where there is no fence, no barbed wire, no landmines, and one need only to take a few steps to be in North Korea. There are often North Korean soldiers looking at the tourists with absolutely no expression on their faces. This is where the famed blue buildings stand, where the UN comes to broker deals between the two countries as they have no official diplomatic relations. I have these two palaces together as a single entry for a number of reasons. In addition to their names sounding the same, they are also internally connected, as one does not have to exit the palace they’re in to enter the other. Furthermore, they look very similar on the inside, so I tend to consider them as just one really big palace. 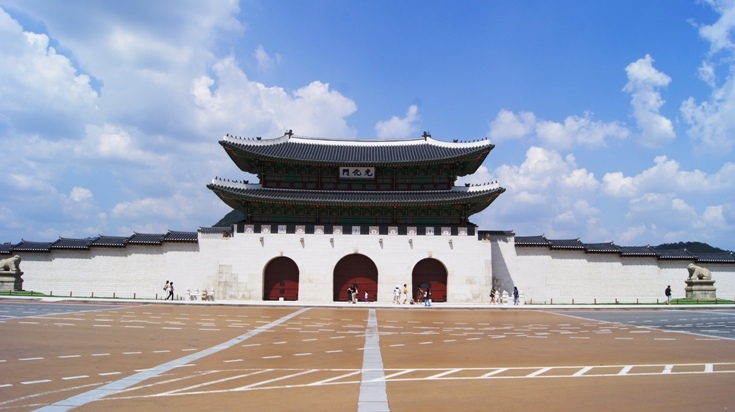 Changgyeonggung and Changdeokgung were royal palaces of the Joseon Dynasty(1392-1911). 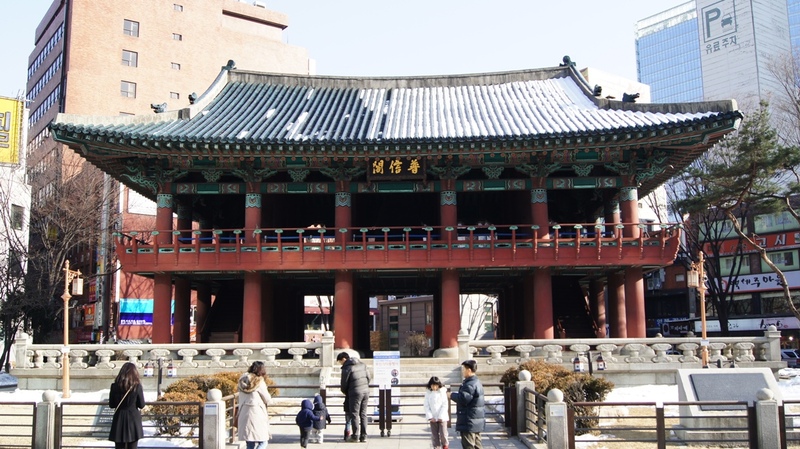 They are two of the four great palaces of Seoul with the other two being Deoksugung (#18 on the list) and… well keep reading. Many people consider Changdeokgung to be the most important palace in all of Korea, evident by being named a UNESCO World Heritage Site. It is gorgeous with tiled ‘hanok style’ roofs, and not as crowded as you would expect, considering that everything in Korea is crowded. On the right side of the throne room in Changdeok, is the king’s office which has distinct blue roof tiles. It is because of this tradition that the current presidential house of South Korea (#29) is blue. These two palaces are quite large and would take a few hours to tour. There are a million picture worthy spots, especially in the spring time when the gardens have bloomed cherry blossoms. Shamefully, it took me almost three years to visit this museum. Hey, I’ll be honest, while I like museums a lot, I have to be in the mood for them. Last February, I decided to give it a shot and was blown away. I had to return two more times within a week to finish it all. This massive museum holds some of the most important treasures in Korean history. Despite the fact that some European visitors might consider it small, if you take your time to look around, it will easily take from morning to evening. This wonderful complex is very well organized in chronological order from bottom to top. It starts the story of Korea from the Paleolithic era when humans first arrived on the peninsula. From there, it takes you forward in time to the first dynasties in Korea, all the way to the end of the Joseon Dynasty in 1911. My only complaint would be that it had absolutely nothing on the era of Japanese occupation (1911-1945), the Korean War (1950-1953), or modern Korea (1953-now). The outside of the complex also has many original stone lanterns that have stood for over a thousand years. The centerpiece inside the museum is a large stone pagoda, and the top floor has lots of Buddhist art, including large Buddha statues. If you take a trip to Seoul, this museum is a must. Built in 1394 (12 years before Forbidden City). It is the most magnificent thing to see in Seoul. If you have ever lived in Seoul, or have visited for any large period of time, this should be of no surprise. Gyeongbokgung is the absolute best thing to see in Seoul, South Korea. Despite Changdeokgung being a World Heritage Site, this is the best palace in Seoul. It is centrally located on the same street as Seoul Train Station (#30) and City Hall (#25). It is also the palace you bump into at the end of Sejong Street (#5) and is directly in front of the Presidential Blue House (#29). As you cross the main gate of Gwanghwamun (#5 pictured), you come into one of the oldest and most beautiful palaces in the world. While it is a rebuilt replica(thanks Japan), lots of attention has been given to detail. The original palace was built before forbidden city in Beijing and was the King’s home until the construction of Changdeok Palace (#3). I can go on and on all day, but you can just browse through the pictures yourself. Of better yet, book your trip to Korea right now and put this on the top of your list to see for yourself. Note: If you are visiting Incheon International Airport on a layover, they offer 2, 4, and 5 hour tours of the city at a reasonable price (which I can’t recall). The bus can leave from the airport, show you around, and guarantee that you wont miss your flight. But, seeing how you now know how awesome Seoul is, I am sure you will stay longer. oh, I read your posting interestingly 🙂 I don’t even know who I came to your blog. Anyway, here is one thing to tell you. “The blue house” is just English name instead of the real name cuz it would be much longer if it was translated to English in the very exact way haha. The real name is “Cheongwadea” which means the house which has the blue roofling tiles. and These tiles that were used for this architecture are Korean traditional architecture materials. You are absolutely right. Since I made this post, I have brushed up a lot on my Korean history. I should update this!!! So apparently, the blue tiles come from copying the blue tile study room of the king in Changdeokgung Palace. I have visited the real blue tiled room in Changdeokgung many times now :). Thanks for pointing that out and thanks for visiting my blog 다혜! I have a question. How is Jeong-dong different from Deoksugung? Is there something else I am missing? I would add Seodaemun, but not in the top 30. I will expand this list to 50 soon though, so look out for that. I have not seen the Leeum Samsung Museum of Art, and I guess one of the weaknesses of this blog is that I am not a big art guy. I will check it out when I return. What is the Jeong-dong one? I have never heard of it. And… technicality, Namhansanseong is actually outside of the Seoul border, which is why I didn’t add it. I enjoyed it a lot, especially the palace in the center. Thanks for your suggestions :).